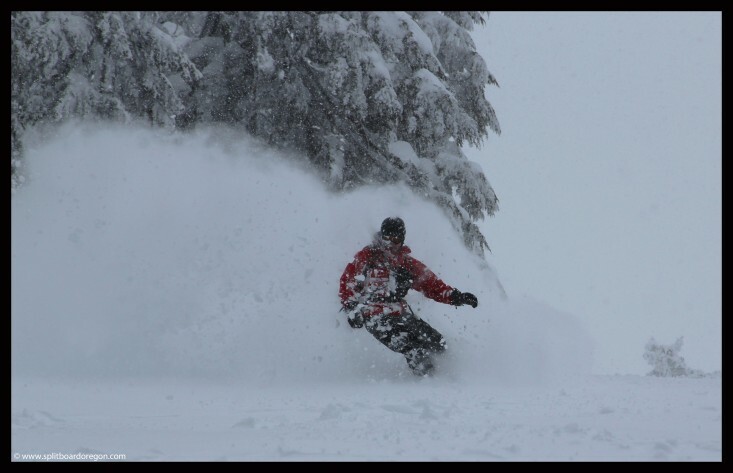 “Throw in the powder boards tomorrow – it’s deep out there!” The forecast was calling for some fresh snow, and I knew it was going to be a decent day for patroling, but when Todd called from the Pass on Saturday afternoon and said those words, I was stoked. I awoke early on Sunday morning, gathered my gear and hit the road, picking up Andy on the way. There appeared to be plenty of fresh snow when we arrived in the parking lot and it was snowing hard. We had our morning patrol meeting and then headed out to open the mountain. Todd went off to do some Avy control on Peak 2, and I coordinated opening of EPA. 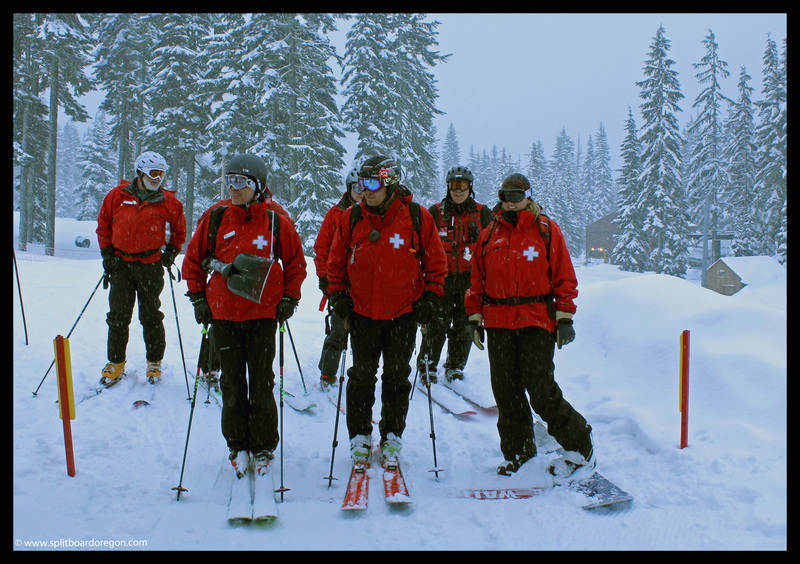 We had to wait at the bottom of EPA for a few minutes before the lift was ready, which gave me an opportunity to snap a few photos of patrollers waiting to head up the hill…. Up top, there was about 12 inches of new snow and I set to work digging out the area where the sleds are stored and assigning people runs to open. After the hill was opened, I rode down Success to meet Andy at the bottom of the EPA lift. The ride down was sweet, and I could tell we were in store for a great powder day. After we unloaded the EPA, the first run we took was down Timbur. 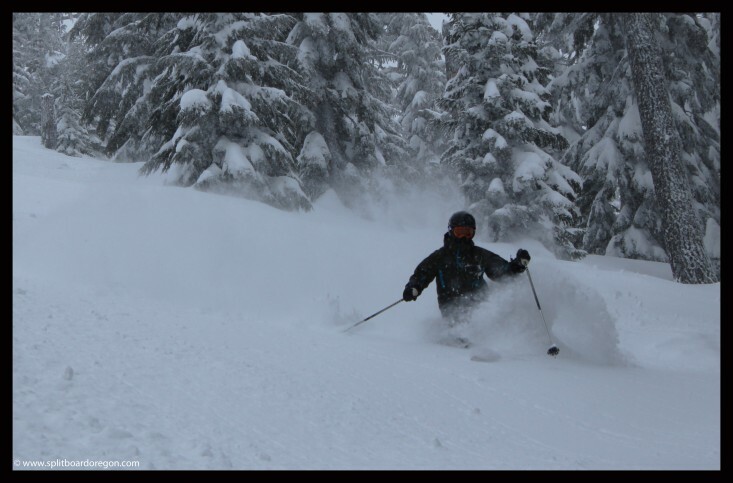 The snow was awesome – very light and deep. Face shots were had with every turn and as we ripped down the hill, the snow stayed suspended in the air for several seconds. We stayed on the frontside for several more runs, as Peak 2 wasn’t open yet due to the avalanche control work. After a few more runs and continued face shots on High Lead and Good Time Charlie, we headed to the backside around 10:30 when it opened. The snow depth on the back was a little deeper, probably 12-15 inches of new and it was still snowing hard. The first run down Destiny was excellent, and we were able to find fresh snow on the back all day long given the fact that the total skier count for the day was around 650 people. At one point riding the chair, it snowed so hard that visibility was only about 15 feet. Total accumulation for the day was around 10 inches, and it’s been awhile since I’d boarded in such good storm conditions during the day. After hitting most of the runs on the back, we made a few on RTS, which had some of the best snow of the season by far, even though it was bumped out. I sat bump from 1:00 to 2:00, then finished the day riding with Todd and Andy on Peak 2 before sweep at 3:30. Andy helped up sweep both Peak 2 and EPA, along with lower mountain. 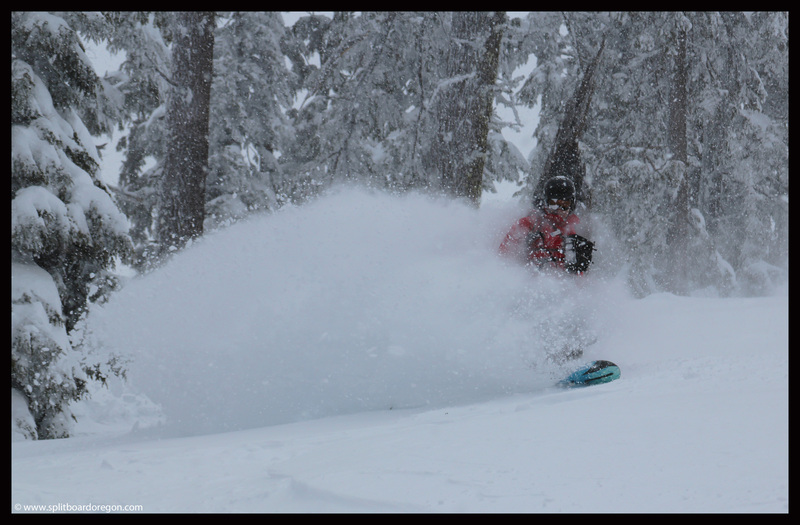 Everyone agreed at the evening meeting that this was one of the best powder days of the season, and I’m hopeful there are one or two more before it’s all said and done for this year. Great shots/trip report. Living in CO, From OR (Hood) originally, hoping to get acquainted with some OR splitters!